If institutional investment firms have not yet started to reassess how they manage collateral for their derivatives trading activities, it really is time to get a move on. Used to entering OTC derivatives deals with multiple brokerage counterparts under a number of different collateral arrangements, buy-side firms now face a more rigid collateral regime as many commonly-used instruments, such as interest rate swaps and credit default swaps, gradually migrate to centrally-cleared platforms. In response, money managers must take a more disciplined approach to collateral management if they want to maintain current levels of access without costs going through the roof. Finadium’s call to action follows several indications from global custodians that their collateral management services across OTC and listed derivatives and repo and securities lending are beginning to meld into a single offering. “The combination of our various units will allow is to create custom-made solutions that meets buy-side firms’ needs,” Nadine Chakar, global head of Derivatives360, a unit within the newly-formed Global Collateral Services division of BNY Mellon, told theTRADEnews.com on 5 July. Such umbrella collateral management services aim to help the buy-side to minimise the cost of making margin payments to clearing houses, in part by helping them source the required assets, by transformation if necessary. As noted previously in this blog, the cost of such collateral management services has proved such a shock to some money managers that they have preferred to hire additional traders instead. Nevertheless, Finadium thinks that this coalescence of collateral services from custodians sends a three-fold message to clients. First, as stated above, the buy-side must now view collateral as a single pool. 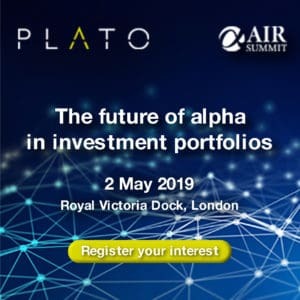 Asset managers may use listed and OTC derivatives for many different hedging and alpha-generating purposes across many products and portfolios but they are likely to be presented with a single client agreement in the near future. Following logically, the second point is that the buy-side will soon have to acquire the skills, tools and processes to optimise collateral effectively. Striking an understated note, Finadium suggests spreadsheets “may no longer be up to the challenge of maintaining positions” particularly in times of high volatility, which may be frequent if the transition of OTC derivatives to central clearing has the predicted – that is, unpredictable – impact on liquidity. The third point is that custodians themselves are undergoing a transformation that will change the counterparty choices made by the buy-side. Collateral management is what Finadium call a “multi-layered play” for custodians, which leverages their existing reporting and position-keeping capabilities. But it is too early to call the winners and losers; prime brokers too are adjusting their service offerings to the new reality. If the buy-side is now to regard collateral as a single pool, institutional investors will accordingly increase pressure for cross margining opportunities to offset the costs of clearing swaps and futures. 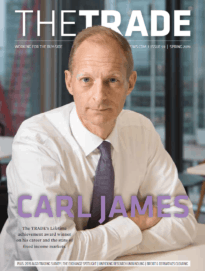 In TABB Group’s recent 'US buy-side swaps trading 2010' benchmark study, the financial markets consultancy notes that buy-side firms currently show little appetite for clearing swaps and futures through the same futures clearing merchant. But this may change radically – and soon. When TABB asked buy-side firms whether they view swaps and clearing as a single or separate need, 67% said ‘separate’ for today, but 83% said ‘same’ for tomorrow. “This demonstrates the importance for dealers to fight hard for market share today,” observed Will Rhode, TABB’s director of fixed income. Buy-side swaps clearing is currently rising from low levels at the moment, but with the Basel Committee on Banking Supervision and the International Organization of Securities Commission recently issuing a proposal on margin requirements for bilaterally negotiated derivatives, institutional investors will surely be examining the pros and cons of central clearing sooner rather than later.